(Boston, MA) – BOND, the Northeast’s premier building, civil, utility and energy construction firm celebrates the National Association of Women in Construction (NAWIC) Week, March 5-11, 2017. The company will participate in a series of events held by the NAWIC Boston Chapter to enhance and recognize the success of women in the construction industry. 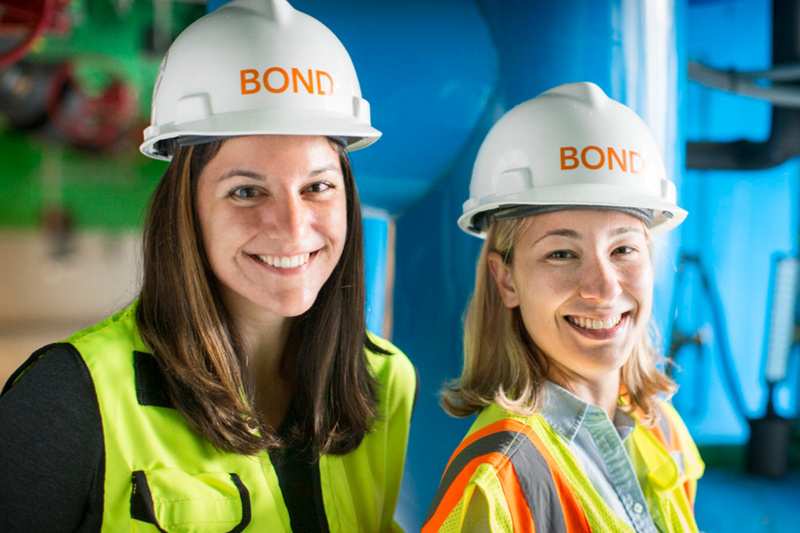 As part of the celebration, the company will feature several outstanding women at BOND on its website throughout the week at www.bondbrothers.com/careers/employee-spotlight. Employee spotlights will showcase the diverse range of opportunities available to women in the construction industry such as leadership roles, project management, project engineering and virtual design and construction. To kick off the week, BOND sponsored NAWIC Boston’s Past President’s Panel, held at Wentworth Institute of Technology. The event focused on the achievements of women in the construction industry, featuring some of the industry’s top professionals. In addition, the company is supporting two other NAWIC Boston events. One is a company-wide clothing drive to support UnCommon Threads, a local charity that helps disadvantaged women boost confidence through career styling. The other is a Habitat for Humanity event on March 11th in Northborough, Massachusetts. Information on these events can be found by visiting www.nawicboston.org/events. The National Association of Women in Construction (NAWIC) originally began as Women in Construction of Fort Worth, Texas. Sixteen women working in the construction industry founded it in 1953. Knowing that women represented only a small fraction of the construction industry, the founders organized NAWIC to create a support network. Women in Construction of Fort Worth was so successful that it gained its national charter in 1955 and became the National Association of Women in Construction. Today, NAWIC provides its members with opportunities for professional development, education, networking, leadership training, public service and more. For more information, please visit http://www.nawic.org/.